I’ve been an RDA since 2002, with a passion for hygiene. I relocated to San Diego County and I’m thrilled to be a part of Dr. Kania’s team. I’ve always enjoyed dentistry, but periodontics has sparked an incredible, new interest for me. I enjoy working with people and doing everything possible to make them comfortable. My children are grown, so I’ve rekindled some old passions: running, sightseeing and a new joy… hiking. I’m passionate about offering exceptional patient care and am committed to helping others improve their overall oral and physical health. One thing I enjoy about working with Dr. Kania and her team is that we all treat our patients and one another like family. I’m a native San Diegan and, in my free time, enjoy the outdoors and being with my family and friends. I have been in the dental world since 2009. I love to educate and motivate patients to have a healthy mouth. One of the many reasons why I enjoy working for Dr. Kania is because of her level of education in this field. Not only do I learn from her everyday but I get to be a part of her helping patients. We moved to San Diego in 2008 to start a new adventure. On my free time I enjoy spending time with my family doing outdoor activities. I have been working with Dr. Kania since 2013. I enjoy working with Dr. Kania because she is a welcoming and caring person who always has the best interests in her patient’s care. 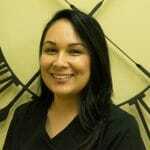 I enjoy working with people and learning all aspects of dentistry, from clinical to administrative. I am so happy to be part of Dr. Kania’s team! In my personal time, I enjoy spending time with my family, shopping, running, and hiking. We’re dedicated to helping you receive the expert care you need in a warm, welcoming, and comfortable environment. 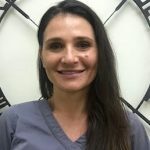 When you need specialized periodontal treatment, schedule a consultation with Dr. Kania by calling her periodontal office in Encinitas/San Diego, CA, at (760) 642-0711.